The HKD27-billion (US$3.4-billion) MGM Cotai, the second casino resort developed by Macau-based MGM China Holdings Ltd, opens to the public today (February 13), just a few days ahead of the Chinese New Year holiday period. The new resort, MGM China’s biggest investment in Macau to date, will however not be fully operational when it opens, the company confirmed on Monday during a property tour for media. MGM Cotai (pictured) will feature 1,390 rooms and suites, including 1,248 resort rooms – the standard room type, 99 suites, 16 skylofts and 27 mansion villas. But only “more than 500” standard rooms will be in operation following the opening, said a spokesperson for MGM China. The other rooms will be available for the public “in phases”, the person added. The first guests are expected to check into the hotel on Wednesday, according to the spokesperson. The hotel rooms currently available are already “fully booked” for the Chinese New Year holiday period, said the person. According to MGM China, only 10 percent of MGM Cotai’s total floor area is dedicated to gaming. The casino at the property will open today with 177 mass-market gaming tables, said the firm. Macau’s Secretary for Economy and Finance, Lionel Leong Vai Tac, said last month that MGM China would get 100 new-to-market live gaming tables for the opening of its MGM Cotai. MGM China has also been authorised to transfer 77 gaming tables from MGM Macau, in the city’s traditional downtown casino district, to the Cotai venue. The casino operator was additionally authorised to install 982 new slot machines on its casino floor at MGM Cotai. The Macau government has granted an additional 25 new-to-market tables to MGM Cotai, to be allocated on January 1, 2019. 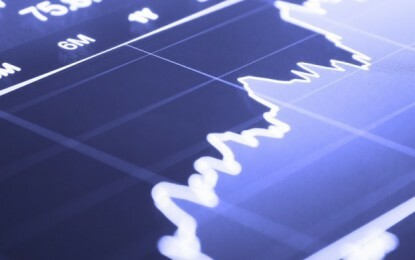 “At this stage, we are focusing on the mass market first. So, we have mass market [gaming area] and also a premium [mass market area]. But the VIP [gaming clubs] will come at a later stage,” said a company spokesperson. The chief executive of MGM China, Grant Bowie, indicated in October that MGM Cotai was set to open only with mass gaming tables, while VIP gaming would be offered at a later stage. It has been mentioned by investment analysts that at least five junket operators intended to open rooms at MGM Cotai. They were identified as Suncity Group, Guangdong Group, Tak Chun Group, David Group and Meg-Star International. Investment bank Morgan Stanley said it expected the junket-operated VIP gaming clubs at MGM Cotai to start operating by mid-year 2018, with 27 units of mansion accommodation at the hotel also opening around that period. 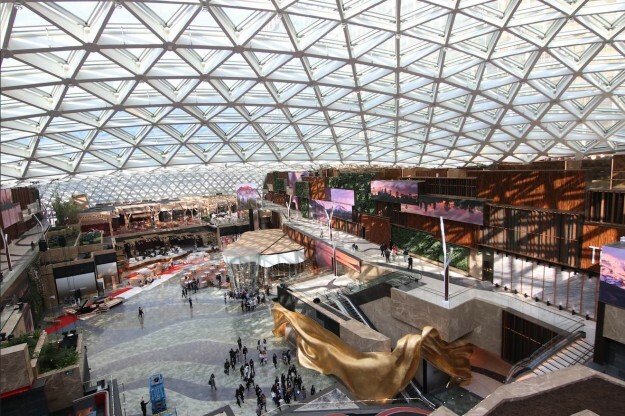 The opening of MGM Cotai has been plagued by delays. In a filing to the Hong Kong Stock Exchange in February 2014, MGM China stated that MGM Cotai was “on track for an early 2016 opening”. But the opening day kept being deferred. The Macao Government Tourism Office – the body responsible for licensing hotel operations in the city – confirmed to GGRAsia on February 6 that it had approved the hotel licence application for MGM Cotai. MGM Cotai, which will more than triple the number of MGM China’s hotel rooms in the Macau market, will also feature a 2,000-seat theatre, a HKD100-million art collection, new restaurants, shops, meeting space and a luxury spa. In a document issued to the media on Monday, MGM China said that the Cotai property “will redefine the way people experience art and entertainment”. “We are actually focusing towards our mass market,” said the MGM China spokesperson. Pansy Ho, co-chairperson of MGM China, said in November that MGM Cotai would focus on the quality of customers who “would appreciate the quality of service as much as would also appreciate the quality of their play [experience]“.